Care always needs to be given when you are working with an old tattered robe. Washing it too much can take the life right out of it, but too little and your family tends to make a rather wide berth around you in the morning as you go for your first cup of coffee. Old things are comfortable and honest. They are part of your past, forgiving you for your mistakes, but never letting you forget them. They wrap around you like your true self, giving in to the years with ease, and reminding you that the ride hasn’t been as hard as you want the world to believe. Threads shedding off the fringe at the edge of the sleeve are easily picked free, and rolled between your fingers The softness coiling on the pad of your thumb. Such are the things of age. Such are we as we age. Frank will be 91 this year. He is still living in his home with the help of family and friends. He gets by just fine thank you. He speaks of a time in the 1940’s when he worked up in Alaska. The reason he was there doesn’t matter. Frank doesn’t care about those details. What is important is that he carried back $5000 dollars for that expedition. He traveled through North Dakota on his way home to Minnesota, and met a woman along the way. It wasn’t the woman he loved,or would spend life with, but she was oh so sweet. He said sometimes you just never know, do you. He still gets up every morning, though not as early as he once did. Taking pride in his appearance, Frank’s life is a throw back to the decades of Jack Paar and Martin and Lewis. He wears his a tie, vest, and watch fob, unless he’s working the garden. There was a time that his garden was a grand sight, with every imaginable vegetable growing in the sweat of sun. It granted all that peeked over the fence a view of a Technicolor patch of future stewed tomatoes and garlic dills. There is still great care taken with it, family and friends come over now to help. Alone now, he’s not inclined to sow all the seeds and transplant all the little sprouts. Frank focuses on squash, because it takes little effort but gives you a strong harvest. 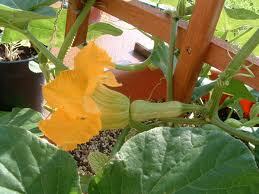 Sprawling leaves, some the size of his garden boot, flank and flap the garden trellis. Frank picks back the blossoms on many of the plants. This encourages fewer, but larger fruit. Don’t be mistaken. Squash is a fruit. The seeds are on the inside. There are some details that are undeniable important. Frank’s day job is going to recycling centers where he disperses his garage sale finds of copper and aluminum. He also dabbles in gold and silver. Anything that will give him a few dollars makes him smile. He isn’t a poor man, but the idea of performing any action not for profit is against his better judgment. He lives alone now. He lost his wife Hattie about four years ago. It was sudden. He blames himself. Frank wasn’t by her side as she had her stroke. This is a dense weight he carries on shoulders once strong from labor. The house is full of her memories, but now gives way to his daily rituals of washing, eating, sleeping and sorting. It’s still his home, and at 91 he still takes care of life. It’s a good life. It’s just not always an easy life. The threads are shedding. Soft like a robe, age has wrapped around Frank, bringing him home; reminding him who he’s been, and that the hard times were worth the ride. He’s taking gentle care of his well-worn life. ← A Young Lesson On Dr. Pepper and Toilets. Now, this sounds like someone I know. What a lovely tribute. Thank you.